Maybe it’s because I was fed too much sorbitol as a child and dealt with the painful side-effects at the age of five. Maybe it’s because we have been promised weight loss for over fifty years with artificial sweeteners with only obesity rates rising. Whatever the reason, the minute I read this article from Slashfood, my hackles raised up. Z Trim is being marketed as a fat replacement. It is made of oat fiber that is ground so fine that when it is reconstituted with water, it feels like creamy fat. Oat fiber, that’s a good thing, so I don’t think Z Trim is going to poison me or give me cancer, but something about it just sets off my paranoia. Maybe it’s because they replaced the fat in the ranch dressing in Pittsburgh schools, testing it on underage children without telling them. Maybe it’s because it is being marketed in pills labeled “appetite control.” Maybe it’s because it is all being sold as a supplement, which requires less testing than a food additive would. Maybe it’s because the Z Trim website is so greenwashed that you can’t help but notice the huge shafts of wheat and the white-washed farm in the background. It all smacks of deception to me. Whatever the reason, I’m not buying it. I was told too many times that if I drank sacchrine-laced soda, I would get thinner. I’m not about to believe that any fake fat is going to make me thinner. The only thing that ever made me thinner was eating whole, fresh food every two hours. I’ve had it with fake food. I am not aginst fat subsitutes but the the whole marketing of supplements get on my nerves. Oat and corn fiber mixed w/water? I don’t see what the paranoia’s about. There’s nothing artificial in it and it actually provides more fiber. It’s so simple that it’s incredible no one has thought of it before. I have visited their plant, seen their production, heard their plans and listened to their people who have developed this product. I am as cynical as the next guy but my family and I have now been using the product for nearly a month and I am still looking for a downside. It is too bad that you cannot even see your way clear to give a product like this a chance to prove itself before you pre-judge it. OK, that’s wasn’t a clinical test in the PA schools, it was a school messing around with existing recipes to try to make something healthier because when they tried fat-free salad dressings the kids quit eating the salads. OI! This isn’t a drug, there’s no medications in it. The ingredients are “Water and Bran Fiber (From Corn, oat, or soy)”… ummm. what’s to be paranoid about? 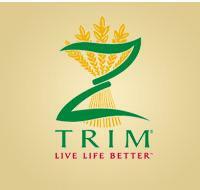 Z Trim is not fake food – the inventors of Z Trim – the USDA – was probably sick of fake food too. The USDA discovered a way of using Corn and Oat fiber (natural foods) that could be used in a recipe to cut down on the fat while maintaining its taste. It’s a way of having more fiber and less fat. The fiber makes you feel fuller and you tend to eat less – artificial sweetners never did that. The product is good – give it a try. These people have been trying to peddle this stuff for about 4 years and last year was able to sell a little more than $100,000 worth of it. While I doubt there’s any harm in it, I don’t see the world beating a path to the door. In addition, the people who run the company aren’t food industry experts but former judo stars. It’s just water and bran fiber, not artificial sweetener! Are you also afraid of cardboard? Oatmeal? Condemning something blindly without even checking out the facts, much less actually trying it, says more about you than it does the product. As for the minimal sales, that’s because the stuff is too damned expensive. And since it was created by the USDA, why would anyone but a stockholder care if it’s marketed by “former judo stars?” It lowers fat intake without changing the taste or feel of the food. The ONLY downside is increased cost. What’s the problem?